Well minecraft uses “seeds” to generate custom terrain. Based on what is imputed for the seed you’ll get different results. 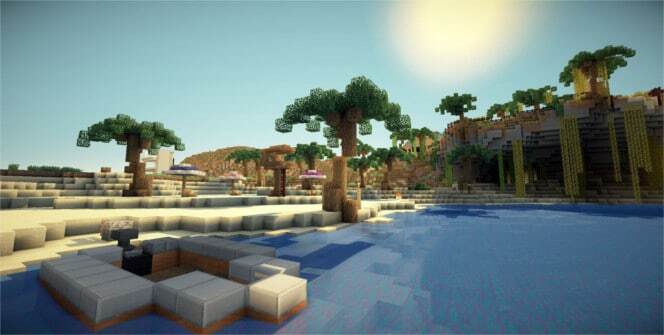 So, here’s our list of 10 minecraft pe seeds you’ll really enjoy. This seed is very unique and sports several villages all connected to each other. You could really do some amazing things with this seed. Just imagine the crazy possibilities! It was originally discovered by a player named JackFrostMiner and over time its become one of the more popular seeds to play on. What makes this seed unique is the “floating village”. No land mass touches this village and this is a very uncommon thing for terrain generation. If you’re looking for a seed with a decent amount of ocean, maybe a sea adventure map, than this is the one I’d go with. The island on this one isn’t your normal small survival island. This island is a little bigger reaching into the medium range and comes with a village. So, if you like being stranded on a island with deranged villagers… this might be the seed you’re looking for. Some of you like to get a early boost when you start playing. 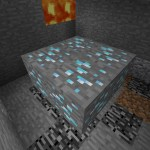 Well, this seed has Diamonds, Iron, and Redstone directly under the spawn. Doesn’t get much easier than that. Multiple villages & a stronghold!?!?! Yes, that’s right this seed has it all. The stronghold entrance for this one is beneath the well in the village. Just mine down the stone inside the well and you’ll find what you’re looking for. This could be turned into a fun creative map as well if you enjoy dungeon building. This seed is a little older around 0.9x but, it’s worth the mention. Some unique generation with ice here and it’s definitely an uncommon event. To find the gold just mine straight down from where you spawn in. Now here’s a seed that really has everything you could ask for except maybe a village. But, village aside this one is rich in valuable ores & materials. Also, the scenery isn’t bad either! This island is very neatly spawned in and looks absolutely great. Perfect for a floating castle or a nice and peaceful zen style home. Just make sure not to fall off the edge.. I don’t think it’ll feel very good. This is another personal favorite for me. I don’t know why but I really like world generations like this one. I think they make for some pretty cool bases that have a nature look & feel to them. Spawn near a good flat location that is great for building! In case you didn’t notice the seed is at the end of each numbered seed above. If you have trouble making one work keep in mind most of them are in all lowercase. If you like the list above you can find more good seeds on the Minecraft Pocket Edition wiki. Also, play around with your own seeds and see if you find something cool you’d like to share with us. Just leave a comment below and let us know some of your favorite seeds. 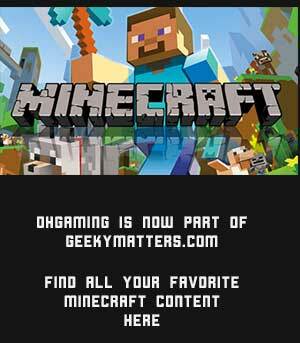 Pocket Edition has evolved enough to where you can now host multiplayer servers for minecraft. We at OhGaming are tossing around the idea of maybe hosting a pocket edition server but, we’ll have to wait and see what happens. If you wanna learn more about pocket edition software here’s a good site to check out. WOOOOO this is amazing my fav one is the city village see. Everyone needs to use these seeds if you have Minecraft. I tried the “its a pig” but it didn’t work. somebody can tell me where is the village in the first? Can I show photos on this? I can’t find the massive village on the first seed…any help??? What’s the seed for the picture at the top? Where is the seed for the first? DO YOU HAVE A SEED FOR A CITY? Do you have a seed for floating island with the village on top of it? it won’t work on mine . can You Plsss Tell us The Seed Have An Buildings ? The large floating island seed did not work for me everything else yes just not that one. Anyone have any tips or tricks to get it to work. do you have to have an infintie world for these to work? these stuff are totally RAD!!!!!!!!!!!!!!!!!!!!!!!!!!!!!!!!! or should i say “awesome”? Wow! Thanks a lot! I needed that comment. If you go into the massive village spawn (NUMBER ONE) with the new pe update, the acacia village with over 3,000 structures has a ton of cool things including new structures, bells, barrels, church bells, and newly dressed villagers with straw hats!! !